Adige Folding Occasional Table in Turquoise colour from the ProGarden range offers a strong plastic small footprint garden side table ideal for occasional use when patio dining. 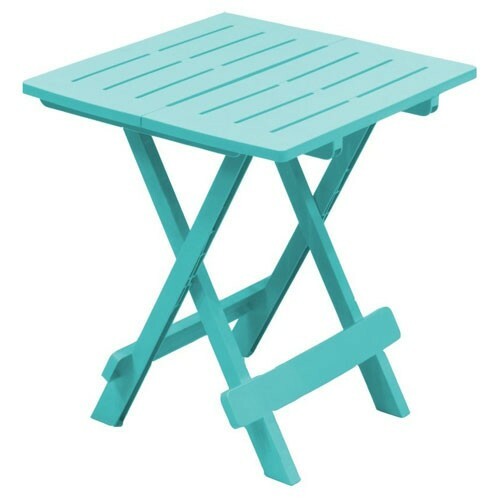 Lightweight table perfect for carrying when folded, to either a picnic, festival, BBQ or for camping use. Folds flat for easy storage when not in use. Also available in other choice of colours.